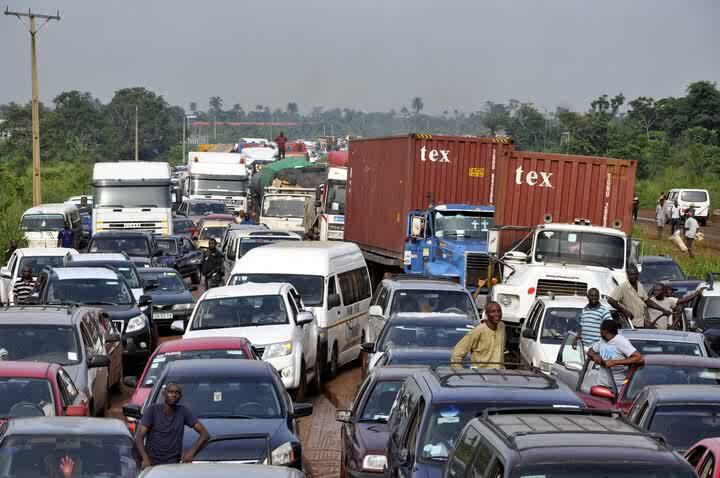 The Nigerian government has said it would complete the rehabilitation of failed sections of the Lagos-Ibadan Expressway that had caused heavy traffic on the busy dual carriageway, making commuters and motorists plying the expressway to spend long hours while driving through some sections of the road in recent times. The Federal Controller of Works, Lagos State, Olutoyin Obikoya who made the promise said that the Federal Ministry of Works has mobilised Reynolds Construction Company, RCC, to carry out urgent rehabilitation works on the bad sections within two weeks. Obikoya, who is the engineers’ representative on the reconstruction of Lagos-Ibadan (section I), explained that the work would be done to ensure the road remained in good condition for a long time. Movement on the road, he said, was also being slowed down by the construction of an additional lane on the Ibadan-bound stretch and the mounting of concrete median at some points. “These activities require traffic diversion when necessary and work is carried out on five kilometres at a time. The ministry has been carrying out palliative works on the road and it is this construction work that is causing the traffic problem. They are working on the road and once it is done, movement will be better,” he said. The construction company, he said, would not work during the public holiday, yesterday and today, but that after the holiday work would be intensified to ensure the job is completed within two weeks.